My grandchild Cynthia Mwikali is in class eight and is ready to sit for her KCSE exams tomorrow. I am very optimistic about her good performance because she never wasted time like before, going to look for water for domestic use. She comes home from school and rushes for 10 minutes to get water, comes back, washes her school uniform, takes a bath and starts reviewing for her exams in time. 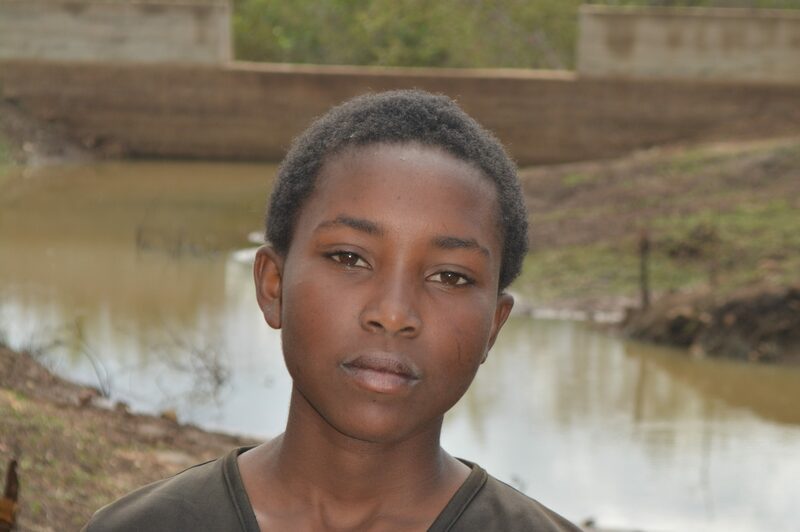 A year ago, generous donors helped build a sand dam for the Mikuyuni Muumoni Self-Help Group in Kenya. Because of these gifts and our monthly donors, partners are able to visit project sites throughout the year, strengthening relationships with communities and evaluating the actual water project. These consistent visits allow us to learn vital lessons and hear amazing stories – we’re excited to share this one from our partners Muthei Mutune and Titus Mbithi with you. One of the most noticeable changes in this community is the availability of water for livestock. Before the sand dam, some of the members would have to bring their livestock to entirely different regions for water and pasture. 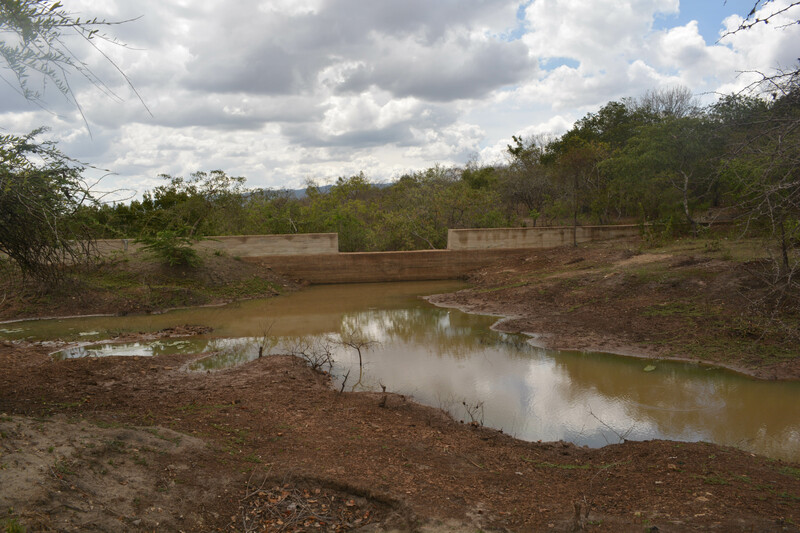 Now, the sand dam provides them with water throughout the year, which gives them security for their livestock farming. The sand dam has also provided them with good water for washing their clothes and all other domestic chores. 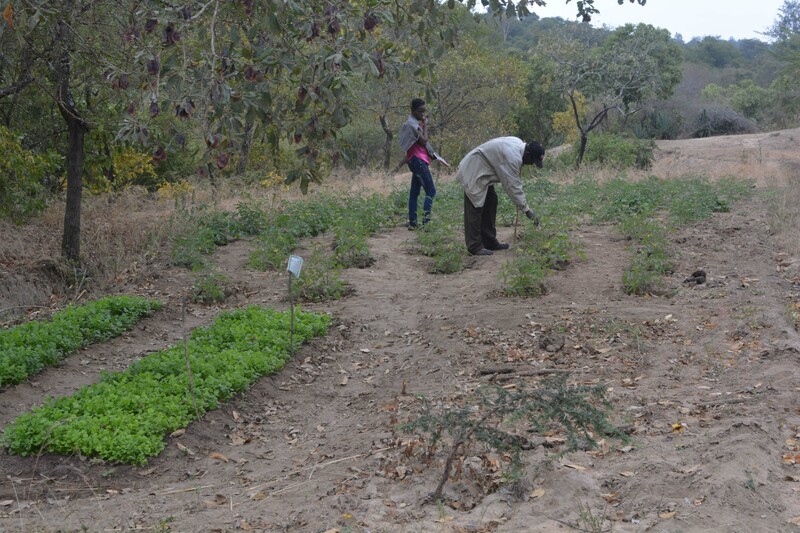 The water has been used for the group’s vegetable farm in which they have planted vegetables like tomatoes and coriander. They managed to fetch 2,600 shillings from the sale of tomatoes and 1,300 from coriander. They then use this money to buy pesticides, while the rest is saved in their bank account. Mr. Kitaka showing us some of what he’s planted thanks to sufficient water. We met chairman of the water and sanitation committee, Sila Kitaka, at the sand dam for an interview. 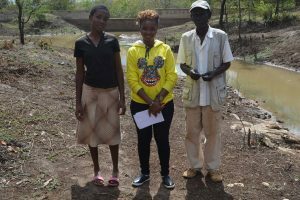 He told us, “This project has helped the community in a large way because initially, we could travel for long distances all the way to Mikuyuni River three kilometers from here to look for water. Our livestock used to die nearly every dry season, and this posed a very high risk to our zeal for livestock farming. At the moment, we all get water for our livestock from this project. My grandchild Cynthia Mwikali is in class eight and is ready to sit for her KCSE exams tomorrow. I am very optimistic about her good performance because she never wasted time like before, going to look for water for domestic use. She comes home from school and rushes for 10 minutes to get water, comes back, washes her school uniform, takes a bath and starts reviewing for her exams in time. She then sleeps early – something which has made her concentration in class increase and her performance in general. The training we received has resulted in decreased waterborne diseases because we treat our drinking water, wash our hands when necessary and our compounds are clean. 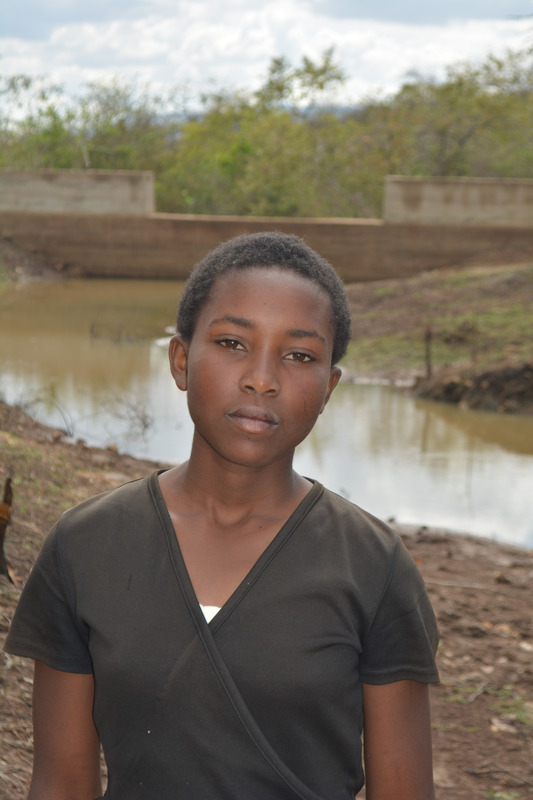 14-year-old Loise Wambua is also in school, and echoed the same: “I started practicing the things taught, and since then diseases caused by water have decreased. I have become cleaner and healthier because of the water available for washing my clothes, bathing and cooking. Children from this area have also become clean and presentable. Before, we used to be dirty because we could skip days without even taking a bath due to lack of water. My self-esteem has improved because I am usually clean. I am now very grateful. Diet for our family has improved since we grow vegetables using the project,” she shared. The environment has become lush and serene due to constant water availability and from all of the natural vegetation supported by the project. When you invest in The Water Project, you're investing in people like Sila Kitaka. Your gifts help us reach more communities with the gift of clean, safe water. And every drop helps unlock potential.